Research psychology, which is commonly referred to as experimental psychology, allows psychologists to study both animals and humans. This branch of psychology focuses on the use of the scientific method in a means of researching the human behavior and the human mind. 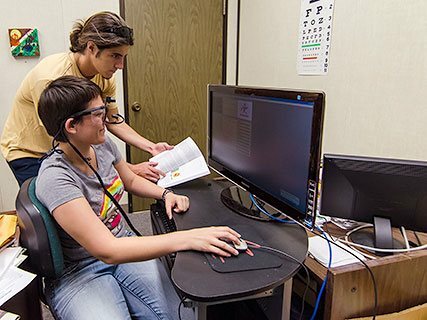 In addition to this branch of psychology, the techniques, methods, and skills that are learned within this degree program will also be applicable in other subfields of psychology. For instance, researchers could study social aspects of individuals or psychological factors that are related to childhood development. As a research psychologist you will be adequately prepared to seek employment in many different areas, such as privately owned businesses, governmental agencies, colleges, research centers, or universities. As you may have guessed, you will have the opportunity to work in a capacity that will allow you to teach other students who are pursuing a degree in a psychology related field, or you can choose to work in a more research focused environment. Should you choose to work in the research aspect of this career path you will likely spend most of your time studying animal behavior, personality traits, cognitive processes, or neuroscience. It is also important to note that many individuals who work within an academic type environment are able to conduct research as a part of their job responsibilities. Other research psychologists choose to work for large corporations in a means of determining factors that make employees more successful, more productive, and more likely to maintain their job for a longer period of time. There are many different research methods that are used by research psychologists to investigate human behavior and why things happen as they do. Although standard experimentation tends to remain the primary tool that is utilized by research psychologists, it is also common for correlational research, naturalistic observations, and case studies to be used. Correlational research is used by research psychologists to identify relationships that exist between variables. Your research in this type of study will determine if there is a negative correlation, a positive correlation, or no correlation at all. Should you choose to conduct a naturalistic observation you will be focusing on your subjects in their natural environment. You may choose this type of study if a lab focused research study is not feasible due to cost, the behavior of the subjects, or if it would be unrealistic. If you prefer to conduct a case study, then you will spend an extensive amount of time studying every aspect of a subject’s life, as well as their history. Research psychologists choose case studies in the hope that a study this intensive would yield results that could be carried over and applied to other individuals who exhibit similar characteristics. Regardless of which type of research method you choose to use, it will be up to you to choose participants for your study, to randomly assign these participants to groups, to define the variables that will be a part of the study, to develop a hypothesis, to manipulate the independent variables, and to measure the dependent variables. As a research psychologist you can expect to spend your time using human participants and animal participants to study topics such as: motivation, emotion, sensation and perception, social psychology, developmental processes, learning, memory, or cognition. You will likely be responsible for measuring error rates and response times, and using surveys during all aspects of the research process. Depending upon the type of research you are conducting it will likely be important that you conduct a pilot study before employing the main part of your research.